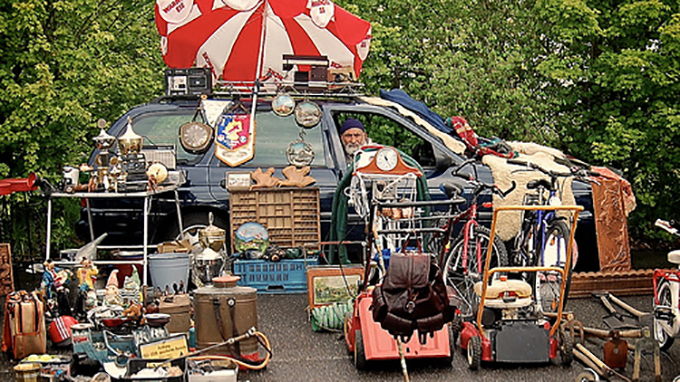 What will all the ‘stuff’ you own mean when you’re older? The doldrums of the post-Christmas binge is a time for clearing out your drawers, culling that book collection or re-gifting hampers of toiletries to friends who are unlucky enough to have a birthday that gets hoovered up into the holiday season. There is a cultural value in objects – a point well-made by Neil McGregor’s History of the World in 100 Objects. And now a pilot project that I’ve been involved with has sought to document the importance of objects in the lives of individual people. The Lively Project was inspired by a memoir written by novelist Penelope Lively: Ammonites and Leaping Fish: a life in time. In the final chapter, she chooses six objects which “articulate something of who I am”. Lively’s objects include two duck kettle-holders from Maine, two ammonites from a Dorset beach, a leaping fish sherd (a fragment of pottery), a Jerusalem bible, an 18th century sampler used as a model for embroidery, and a porcelain cat. My colleagues and I were inspired by this and teamed up with visual artist Gemma Hodge and historian Leonie Hannan to convince six people, aged between 61 and 80 to each select six objects which offered some insight into their lives. The three men and three women then worked with Hodge to help interpret the meaning of their selected objects, both personally and in terms of how they demonstrate social and cultural changes. Hannan and Hodge used considerable creative flair in threading Lively’s interpretation of the passage of time through interview data and 36 objects to produce an emotional, evocative and inspiring exhibition at the Crescent Arts Centre in Belfast. Two of the three men submitted mechanical objects, such as a spare part for a car and a three-foot saw. They felt the culture of material consumption and built-in obsolescence means we may discard old things, but when we do so we are also discarding the expertise and knowledge of how to repair things we own. They felt sad about this. One of those men, who had spent 30 years in the merchant navy, donated a morse key. 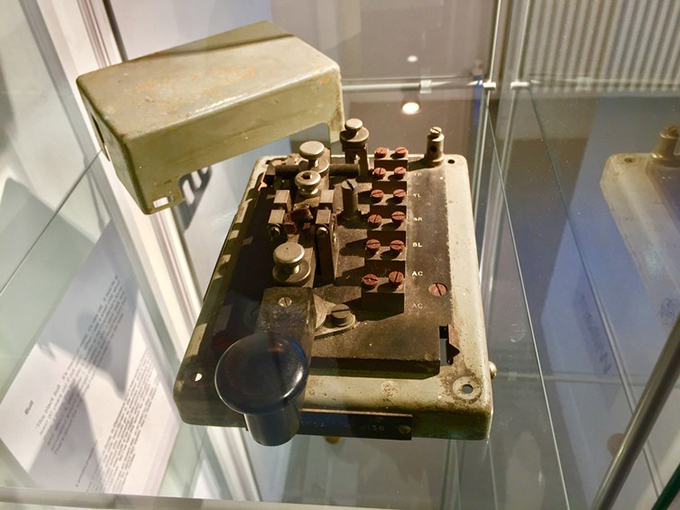 The morse key, used to send messages from ship to shore is now technologically useless, but it represents the advance of 20th century information and communication technology as 4G broadband is based on the same technology as radio signalling. Marconi, the radio technology company, developed the first mobile cell towers and transmissions, using high-frequency radio transmissions as the basic technology. With a bit of evolution and some bandwidth expansion, that’s the same tech that’s powering your 4G signal right now. The owner of the morse key is not a heavy smartphone user and for him “new” technology is not so new to him. Rather, it represents a time shift – today’s phones are a re-invention of the morse key using different materials at a different time. There were lots of family photos, belongings of lost loved ones, objects that told stories of survival, love and surprise about how things worked out alright in the end. The whole project was a very reassuring experience. There is something comforting about knowing that when I grow older I may be viewed as obsolete, but unlike now, it will not bother me, because I will know what matters. The stuff that really has meaning is the stuff that connects you to people or places where you were happy, felt loved, understood your place in the world, or did something for your community. So, when you are having that clear out, remember that while it might be time to pass on some objects to a new owner, others may be worthy of inclusion in an exhibition of the times of your life.